Article first published as TV Review: KEVIN (PROBABLY) SAVES THE WORLD on Seat42F. This week, ABC presents the new program KEVIN (PROBABLY) SAVES THE WORLD. Kevin Finn is an awful human being who has valued material things and having money above the feelings of others, including his own family. This obviously isn’t a strategy that is going well for him because, shortly before the series begins, he tries to kill himself. With nowhere else to go, he returns to his hometown while he figures things out. While there, he meets a messenger from God (don’t call her an angel) who tells Kevin he is the last of the righteous, and must improve himself and anoint others to save the Earth. This premise feels familiar because it borrows from a few others in the past. Touched By An Angel and Eli Stone spring readily to mind, and KEVIN (PROBABLY) SAVES THE WORLD goes for a middle ground of the two. It’s less sentimental and preachy than Touched, but not nearly as whimsical or fun as Eli. It’s a relatively heavily religious series, though it avoids getting into specific scripture, at least in the pilot. This is a good thing for a time when atheism is on the rise. You may say, “but this show isn’t for those that don’t believe in God.” I think that would be a naïve position for a mainstream network to take, and hopefully the series will continue be as vague as it has been on the deity Kevin is expected to serve. Like most programs these days, KEVIN (PROBABLY) SAVES THE WORLD has a decent cast. 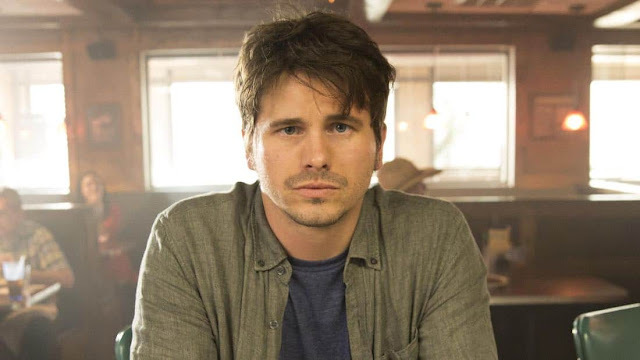 Jason Ritter (Parenthood) is Kevin and JoAnna Garcia Swisher (Better With You) is his sister, Amy. Both performers have done well in ensemble and guest roles, and I think they can probably carry a show as its leads. Kimberly Herbert Gregory (Vice Principals), who is the messenger, Yvette, is not someone I am familiar with, but she immediately stands out. J. August Richards (Angel) has a small part as a local deputy, and India de Beaufort (Jane by Design), Chloe East (Liv and Maddie), and Dustin Ybarra (We Bought a Zoo) round out the group. These aren’t generally household names, but most will at least look familiar, and none seem out of place in the show. The show itself does seem designed to emotionally manipulate. It may not necessarily be trying to get you to go to church on Sunday, but it definitely is pushing a certain philosophy in a very strong way. And while being good to others is laudable, I’m not sure it will achieve its goal if it comes on too strong. The pilot fluctuates on either side of that hard-to-define line, and it’ll be interesting to see where it lands. The best parts of the episode are Yvette trying to coach Kevin, especially when she messes up, and the budding relationship between Kevin and his niece, Reese (East). Honorable mention goes to the one real conversation between Amy and Kevin on the porch. Some of this works because it finds humor in the situation, and others because they demonstrate real human connection. Kevin’s interactions with the other main characters are less effective because they don’t feel as natural. So those dynamics will need to be figured out before the show goes on too long. I am torn on this one. There is some solid potential in KEVIN (PROBABLY) SAVES THE WORLD, and I am curious enough to give it a little time to grow into itself. Especially if what we’re told is happening at the start isn’t what the actual story is. The 10PM time slot means it doesn’t have to stay as tame as it starts out, and it might be a good thing to mix edgy with the source material, as they dabble in sci-fi at the start (more of that please). But if it gets too heavy into evangelism or too cheesy in its emotional moments, that’s where it’s likely to lose some, myself included. KEVIN (PROBABLY) SAVES THE WORLD premieres this Tuesday at 10 ET on ABC.